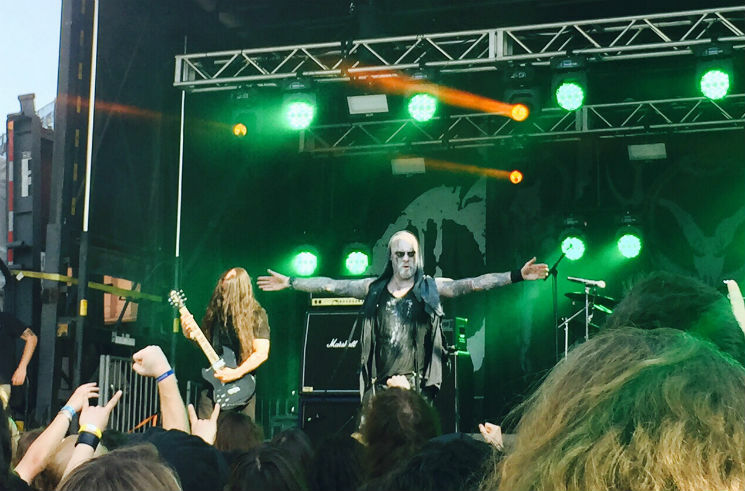 Smeared in corpsepaint and glowering at the crowd, it's easy to assume that front man Alan Averill's entire onstage persona is based on intensity and intimidation. One of his great strengths as a performer, however, is the profound emotional investment and poignancy that he is able to put into his voice. His clean singing, contrasted against the slightly folk-tinged extreme metal the band are known for, is characterized by a deep, abiding ache; there is no song that is not utterly wrenching because of the way he sings it. Their set drew heavily from the last two records, including a great rendition of "Bloody Yet Unbowed," and their performance of "The Coffin Ships" that Primordial dedicated to everyone in the crowd with any ties to Ireland was genuinely beautiful.